If the title is true, Nathaniel Barber was/would have been one of the worst Boy Scouts in the world. You don’t have to read many of these non-fiction short stories to decide that luck and Barber are, at best, passing acquaintances. Which is probably good — they make for better reading that way (Barber, might disagree about the “good” there — it is his life). These stories don’t detail his life, they give you glimpses into experiences that have stuck with him for one reason or another, and largely they resonated with me. For example, his first (disastrous) experience with being a landlord. His goals for it were pretty much what I’d envisioned the time or three I thought about trying it. How it turned out for him, is pretty much what I feared would happen to me. A lot of what happened to him as a band geek made me think of what it was like when I was one (thankfully, it was a little tamer for me). I’ve never had a coworker like Dale Kendrick, but I can name one or two individuals that easily could’ve been. Not all of his stories are those the reader will be able to identify with — but there’s something in his telling of them that will allow you to see yourself in that situation, and feel the humanity. There is one important difference between his life experiences and mine — or most readers’ — his are funny. Or at least the way he’s able to present them is (probably more the latter than the former). Not always in a laugh-out-loud way, sometimes it’ll just be a wry smile, or shake of the head. But Barber’s been able to mine the humor in most of these situations — frequently at his expense. Against the advice of my lawyer and stern warnings from my therapist, I accepted Elsbeth’s invitation to lunch. Mr. Millson was a short, puggish man. He was skinny except for a cantaloupe gut he not only ignored but allowed to lend heft to his wagging swagger. He was short and compensated for this with a simmering, constant temper, always fired up and red-faced. Even when he was just trying to schmooze an extra scoop of Jell-O from the lunch lady. His lips were not lips, but the absence of lips. Sweaty flaps, really. Fleshy bits of face he pursed to a thin, kissy embouchure under a bulbous, alcoholic nose. you get exactly the idea he was going for — this isn’t some sort of arty-ambiguity here, it’s a precise brushstroke. He wants you to feel what he felt, he wants you to see what he saw — and he wants you to at least grin about it. Sometimes he’s not that subtle; infrequently, he could be more skillful about it — but he’s hitting his targets, he’s evoking memories about embarrassments of our youth, empathy over similar struggles of young adulthood, or a slight feeling of dread knowing that’s exactly how you’d react in that situation. Thankfully, he generally wants that to be followed with a chuckle. Creative, distinctive, amusing — this collection will leave you wanting to see more from Nathaniel Barber, while being very glad you have this. Disclaimer: I received a copy of this book in exchange for my honest opinion and participation in this book tour. 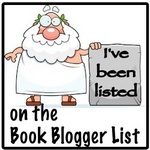 I appreciated the book, but my opinions expressed are my own. Like many things in this Book Tour stop, getting this Q&A together almost didn’t happen — but Barber stepped up and got some good A’s together for the Q’s a I threw at him. All while prepping for a book release party. Couldn’t have been easy, but it’s much appreciated. There was a good deal of jumping around in time in your arrangement here, why did you choose not to start with young Nathaniel and move forward? Was there a strategy (that you care to share) behind the arrangement? I’m aware that jumping around the timeline could seem like a gimmick. I understood that was a risk but it was a risk I felt was worth taking. Chronology is a tool. It is very useful. It sets the pace and sometimes, when there’s a lot of messiness and moving parts, chronology can be the only thing that holds a narrative together. Arranging these stories in chronological order demanded segues between the chapters. They just didn’t read right without them. Maybe it was somehow possible, but I was having a bear of a time trying to make them flow. These segues were lengthy and distracting. You can imagine, for example, the acrobatics required to naturally transition between hosting an exchange student from Paris, to an obsession about pants. “Time passed. The days grew into weeks and my thoughts turned to pants…” and so on. No thank you. I admire brevity. While these stories could use a bit more economy of language, the subject matter is very tight. The scope of the story is singular and isolated. These stories stand on their own. I like that about a short story. It demands so much from the reader: they must put the pieces together themselves. A short story reader is a smart reader. With barely enough information, they’re able to carry the weight. It’s participatory. A shared experience. Similarly — what led to you choosing the events to write about? Really, the stories chose me. I know that sounds glib. I can’t help but roll my eyes when I hear authors say things like, “The stories chose me.” But it’s true. As I mentioned, I struggled with these stories to an obscene length. They simply would not let me alone. Many of them were not easy to tell. I would have preferred something witty and artful, but instead I got stuck with these plain-jane stories. They’ve grown on me since though. I’ve developed a great appreciation for banality, thanks to these stories. What was the biggest surprise about the writing itself? Either, “I can’t believe X is so easy!” or “If I had known Y was going to be so hard, I’d have skipped this and watched more TV”. The biggest surprise for me was that there would be an end to working on these stories. Writing and editing a story is a suffocating experience. Sometimes it seems they will never be finished. Their arc, the characters and the concepts that are juggled around a story are sometimes so nebulous and scattershot it seems like a game of whack-a-mole. But I kept working on them, and eventually, story by story, I wrote that last sentence. It’s quite a thing, when you know you wrote the last sentence, even if it still needs to go through a number of edits—it’s a thrilling process, to fine-tune that last sentence. A lot of what makes a writer are the books that he’s read — what books in particular do you think made you the writer you are/the book the book it is? 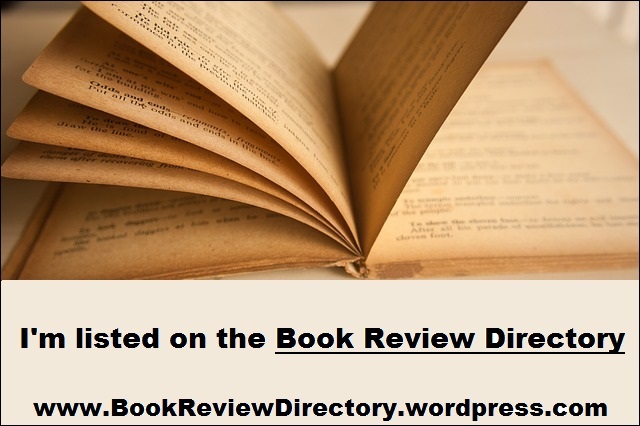 Kurt Vonnegut’s Galapagos and Pat Conroy’s The Death of Santini and Harper Lee’s To Kill A Mockingbird and Alice Munro’s Dear Life. Yes, I contain multitudes (to quote Whitman). Luck Favors The Prepared is a way of asking for permission to write more. I have so much more in me, I can’t wait to get it out there. There’s two books of rhyme and meter poetry on the way. One is a book of childish poems for adults, and the other is a book of grown-up poems for children. What could go wrong? Also, soon I’ll have another collection of nonfiction short stories (and some fiction short stories) as well as as novel which I’ve begun but I hate. I hope I fall in love with this novel soon because so far, the outlook is grim. It doesn’t seem very funny, it deals with a lot of awful, horrible characters. There is violence, there are some terribly graphic scenes I don’t know how to write yet. And worst of all, I have no idea what will redeem the story. So, the jury’s out on that one. 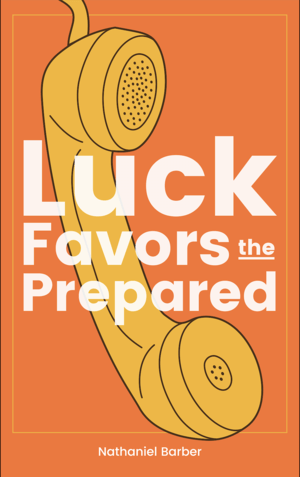 Welcome to our Book Tour stop for Luck Favors the Prepared. Along with this blurb about the book, we’ve got a Guest Post by Mr. Barber about writing non-fiction; a Q&A with the author and then finally, my take on the book (the links’ll work when the posts go live). One word about Nathaniel Barber before I show you his very nice (and very orange) cover — I have miscommunicated, mis-remembered, and generally mishandled setting things up for today, and he has dealt with grace, professionalism and generosity throughout. All of which was worse, because I really liked his book, and wanted to put the best foot forward for it. Anyway, I’m just trying to say, the dude’s a mensch, check out his stuff. As a son of the Pacific Northwest, his stories are nestled in the mossy bosom of Washington, Oregon and Northern California. His characters are plucked from the past and set to life. They are belligerents and buffoons. They are the beautiful and the bewildering, plagued by dark and grotesque motives, juxtaposed with loving attention that suspends judgement for a world where no one is defined by their worst deeds. Unlike some of the celebrity memoirs I’ve read this year (and yeah, there’s been a lot of them — I’m not sure why), this is a pretty straight-forward one. Roughly chronological, it covers Kendrick’s life and career from childhood to the last year or two. What separates this is Kendrick’s voice — it is so strong, so funny (I almost wish I’d gone for the audiobook version — narrated by the author — instead for her literal, not just authorial, voice), so brutal. Thankfully, she saves most of her mockery for herself, so she comes across as charmingly self-deprecatory and insecure. I’m not sure what to say about this, without resorting to a very long list of quotations that will be too long, and yet not long enough. I chuckled often, I enjoyed the look at her life and strange childhood; the behind-the-scenes anecdotes about some of her films and award-shows; the present-day social awkwardness. I may not have much to say, but it’s only because my brain isn’t firing right tonight (it seems), not because the book doesn’t deserve it. If you’re a fan of Kendrick’s, you’ll enjoy this. If you wouldn’t call yourself a fan, but have enjoyed some of her work, you’ll probably enjoy this. If you don’t know anything about her, you still might like this (and get a list of movies to go look into). 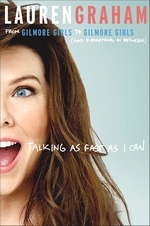 This book isn’t a proper autobiography or anything (doesn’t claim to be, either); it’s stories, memories, thoughts and humorous bits that Lauren Graham shares about her life and career. She uses the revival of Gilmore Girls as an excuse to look back on her both to this point, as her career is marked by looking back this year. I haven’t seen the new Gilmore episodes (still working my way through the series with my kids), so I could’ve read the material discussing that a little closer — although I did think the tributes to Edward Herrmann fitting and touching. 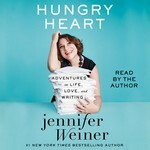 The book covers pretty much what you’d expect from an actor’s memoirs — discussion of her childhood, paying her acting dues, education, her big break and so on. All told with wit and charm. Graham’s personality shines forth and really draws you in. She spends a good amount of time talking about the original run of Gilmore Girls, Parenthood, and her novel. I was glad to see that she did that — so many actors/celebrities don’t give that much time or space to the things that made someone want to read their books in the first place. A few of the highlights of this book are from the parts that aren’t de rigueur. There’s a section on eating and health tips, that made me laugh out loud — Graham learned the same lesson Jim Gaffigan and Weird Al did — food jokes work 99. 6% of the time. There’s some really good writing advice that Graham was given by a friend that helped her to finish this book — and seems like the kind of thing that could help many authors. There’s some recurring jokes about Ellen DeGeneres and the cast of Today. I don’t want to suggest those are all the highlights, but they’re are good sample. Most of the book feels like Graham set her phone to “Voice to Text” and cut loose. But there’s no way that it would’ve come out as good if that’s what she did — that kind of feel is the result of a lot of hard work and planning. It all paid off, this was one of the more enjoyable books to read that I’ve tackled recently — don’t get me wrong, the content was good, too — but the writing was as smooth as silk. Unlike that sentence. Between this and her novel, it’s clear that Graham’s really quite a writer, I hope to see more from her. This was a fast, breezy read — a lot of fun with plenty of heart. Pretty much everything you want from/would expect from Graham. A sure fan pleaser.